The Ultimate Decorators Caulk 380ml has over double the flexibility of leading caulk brands at 12.5%, making it more resistant to movement and longer-lasting. Fill deeper, wider and overpaint in 1 hour! 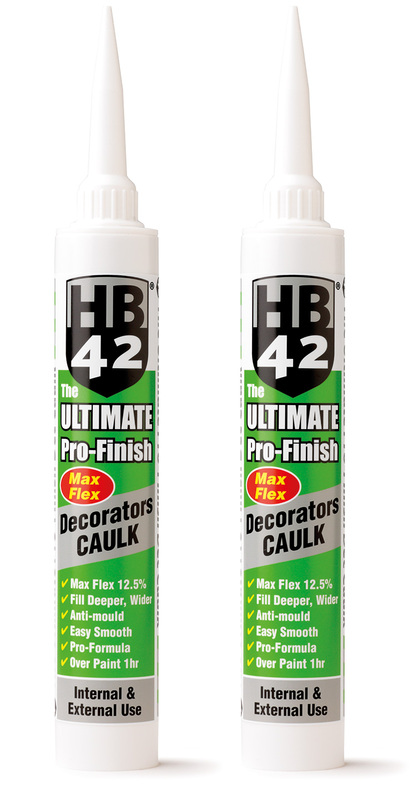 HB42 Ultimate Decorators Caulk fills deeper and wider than most other caulks – designed for a professional finish. 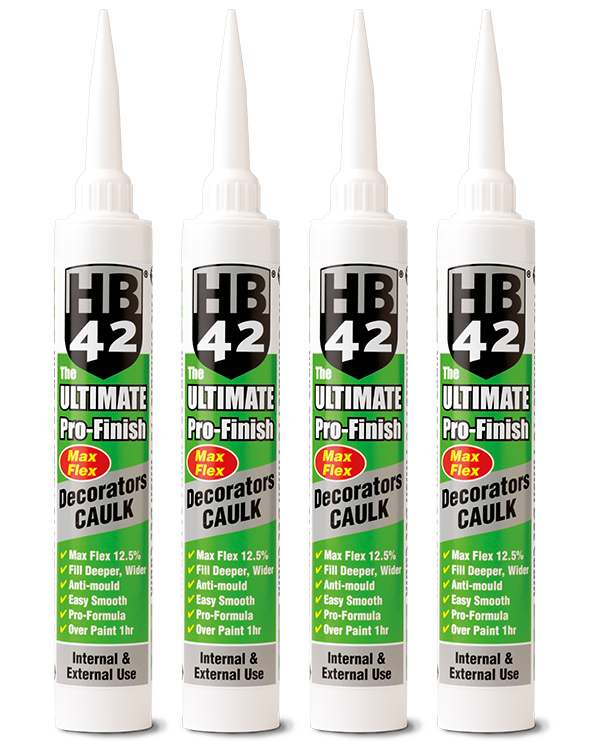 HB42 Pro-finish Caulk is an easily applied, white, solvent-free, acrylic sealant for external & internal use. It forms a a durable, flexible seal and contains a fungicide to discourage mould growth. It can be overpainted within 1 hour depending on temperature and humidity. 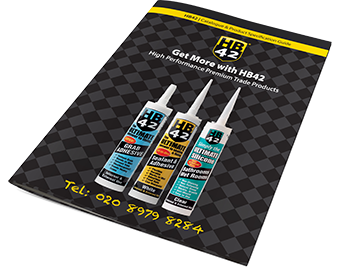 HB42 Ultimate Pro-Finish Decorators Caulk is made to the highest specification and will withstand joint movement capability of up to 12.5% and can be used in joints up to 25mm wide and 20mm deep. Manufactured to EN ISO1 1600 F 12.5P, BS EN 15651, F-EXT-INT. For sealing cracks and gaps. Can be used as an adhesive for polystyrene. Not suitable on PE, PP, Teflon and bituminous surfaces. This product should not be used below ground level. …fills deeper and wider – maximum flexibility 12.5%!